CHINI LIVE..Keeping up with the latest Buzz! : TIME's Person of the Year 2012? Who is yours? TIME's Person of the Year 2012? Who is yours? Every year the title TIME's Person of the Year is given to person or persons who most affected the news and our lives, for good or ill, and embodied what was important about the year on a global scale. Time magazine has shortlisted a bunch of global personalities for us to vote. Who in your opinion takes the cake? 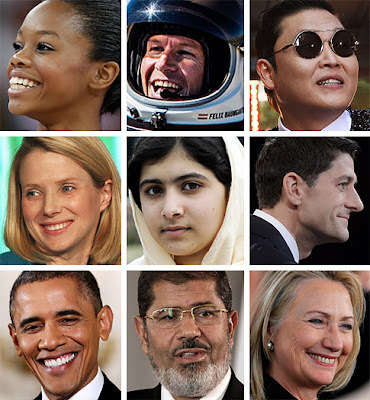 Who is your Person of the Year 2012?